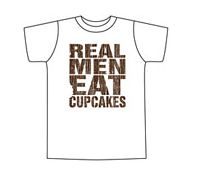 I saw these “Real Men Eat Cupcakes” shirts on pinterest and I have to admit I love them! 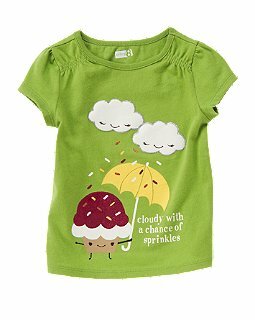 I don’t know of any guys that would wear this shirt but considering how popular cupcake themed clothing lines like Johnny Cupcakes are with males I think there are some guys out there that would wear this shirt. 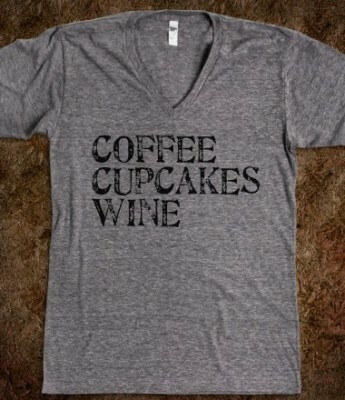 The shirt is available from Vanilla Bake Shop’s website in heather grey or white for $24.00. My friend showed me this dress on the Black Milk Clothing website and I have got to ask you guys, as the ATC readers, what do you think of this cupcake animal dress by designer James Lillis? Cupcake bottoms with animal heads make up this skin tight $99.00 dress and I’m not sure I would spend the money on this dress. Based off the model it looks like the dress is intended for a youthful crowd but then I wonder what young shopper has $99.00 to spend on a dress. Would you buy this dress? If you did buy it, where would you wear it? 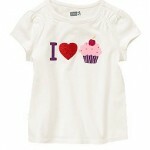 Crazy 8 has all their graphic tees on sale for a crazy deal price of $4.99! 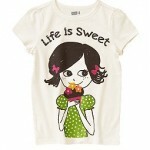 It’s a great price, specially if you are looking for a cute cupcake tee for a little girl. 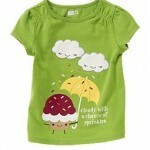 They have three shirts to choose from, a fun tee that features a cupcake and sprinkle raindrops. 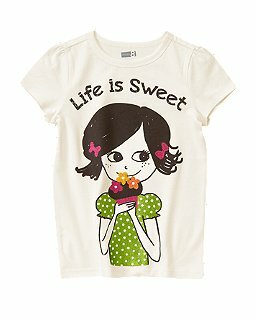 Another shirt shows a little girl eating a cupcake and reads “life is sweet.” The last shirt is a basic “I heart Cupcakes” tee. At the crazy deal price of $4.99 and everyday $5.00 shipping you can’t go wrong buying one of these shirts! 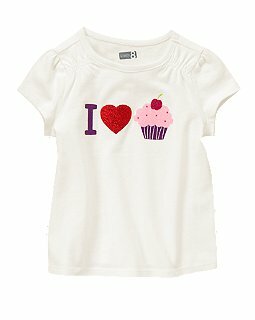 My mom and I were in Gymboree today looking for a baby gift and we came across the cutest cupcake baby items! 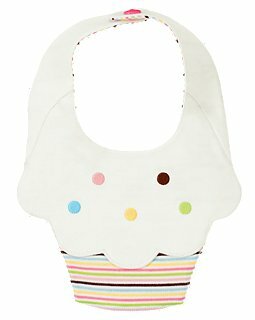 The cupcake bib might be my favorite thing we saw and it’s only $4.99! 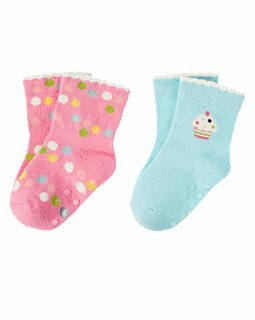 I also liked the $4.99 two pack of socks and the “cute” little bodysuit for $9.99. 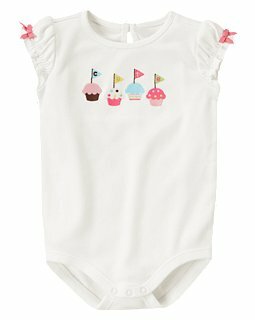 The Gymboree website has lots of other fun baby cupcake clothes so check it out! Everywhere I go I am seeing pumpkins, scarecrows and candy corn so it must be time to get ready for Halloween! Over the years we have posted quite a few cupcake costumes for adults, kids and baby and finally we have one to post for your puppy too! Kohl’s has this sweet costume for $25. 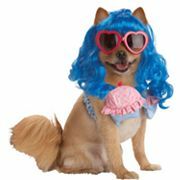 Or your pup can sport this Katy Perry look-alike costume for $26. A bit much for me but so hilarious! 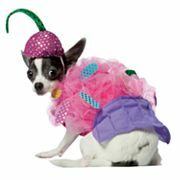 And when you dress up Fido as a cupcake, make sure to send us a photo! My little girl has so many hair clips that end up all over the house and usually right under my feet! AJO Creations has a simple and sweet solution. 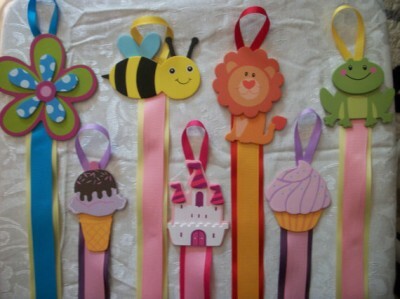 These clever little holders hang on the wall so you can clip those little clips right to the hanging ribbon. Love them all but of of course the cupcake is my favorite. But for only $3.75 each, maybe I can afford them all!